A compact handbag for all the essentials. Outside back pockets for cell phone etc. and multiple inside pockets (one that zips!) 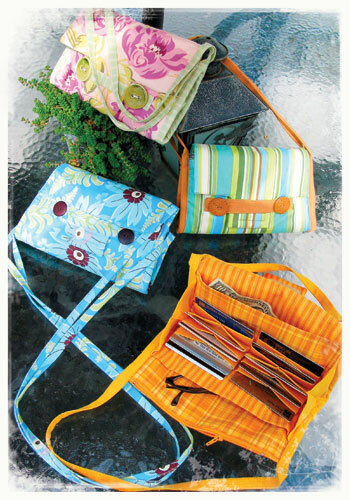 It includes an accordion folding credit card holder and has options for short or shoulder-length handles. Finished dimensions : length - 9� width - 6�. Pattern by Favorite Things. To make two-tone wallet purse : purchase 1 yd. fabric and � yd. contrasting fabric.